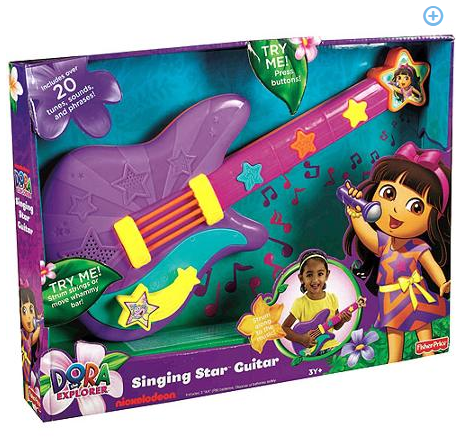 Fisher-Price Dora Singing Star Guitar Only $7.67 + FREE Store Pickup (Reg $19.99)! You are here: Home / Great Deals / Fisher-Price Dora Singing Star Guitar Only $7.67 + FREE Store Pickup (Reg $19.99)! Your little one can jam like Dora with this fun Fisher-Price Dora Singing Star Guitar, priced at only $7.67 right now (Reg $19.99)! Shipping is FREE when you select Site-to-Store Pick Up (if available in your area)!